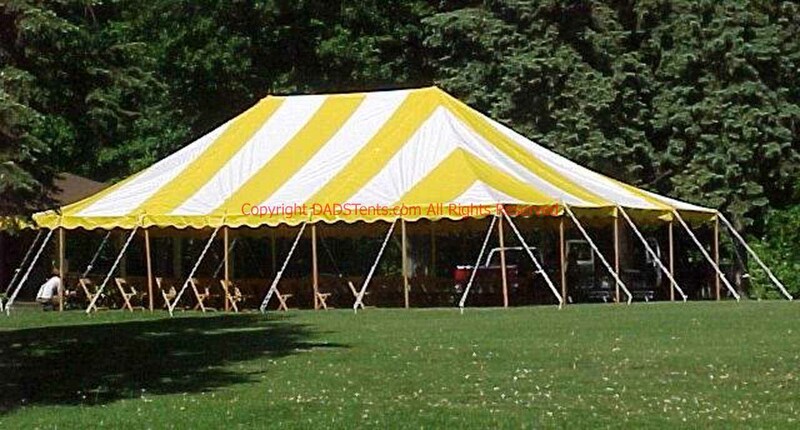 Available in classic Yellow & White or Orange & Black, our striped tents are ideal for graduation parties and can accommodate anywhere from 10-360 people. 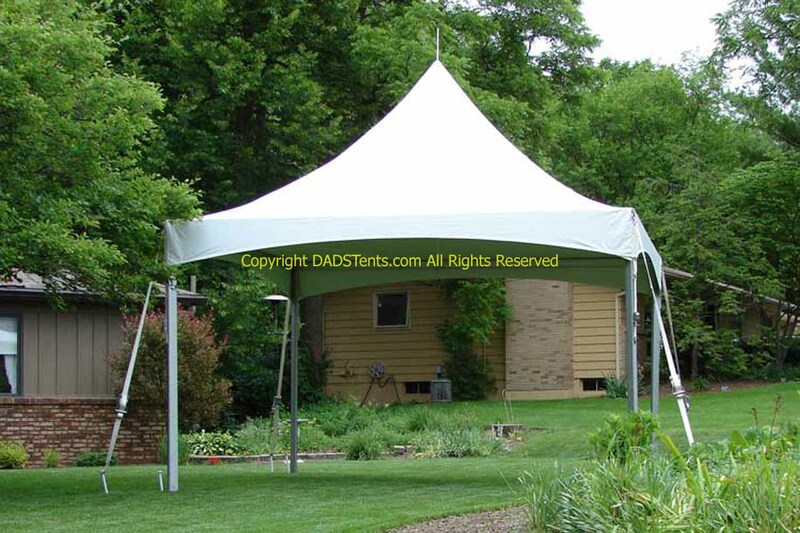 Available in sizes ranging from 10' x 10' to 40' x 100', our classic white tension tents can be setup with or without sidewalls and are available with both regular or tall peak tops. 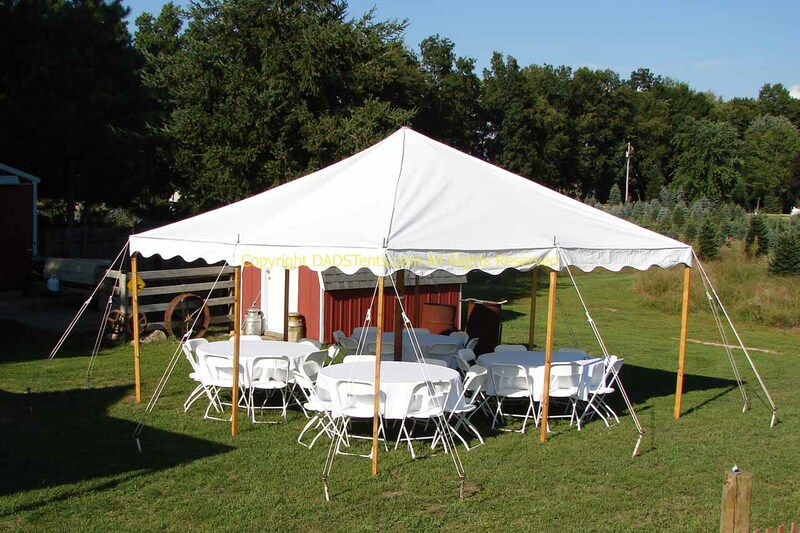 Available in sizes ranging from 10' x 10' to 30' x 60', our white tall peak frame tents can comfortably fit anywhere from 16-180 people and can be anchored together to accommodate even more guests. 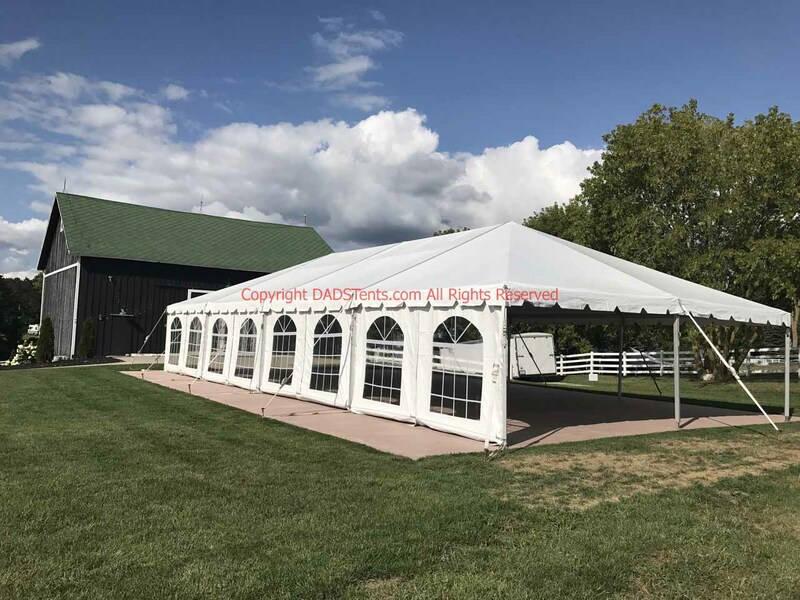 Available in sizes ranging from 30' X 30' to as large as 30' X 105', our Navi-Trac Lite frame tents are perfect for anywhere from 90-270 people and can set up with additional sidewalls.